Simmons is one of the largest and oldest mattress companies in the world. They’ve put out a new hybrid mattress, the Beautyrest Black. 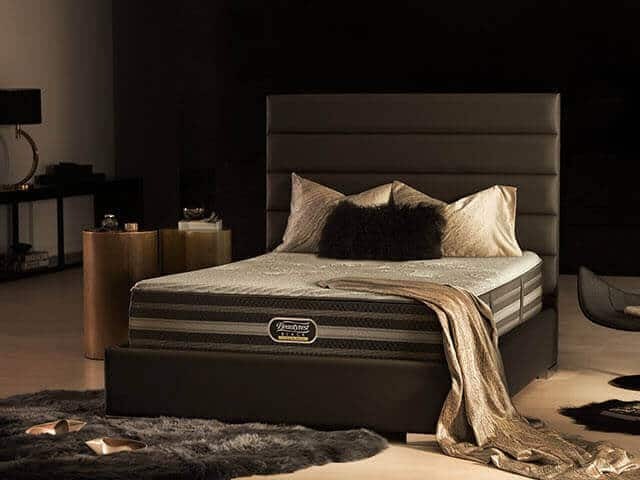 Simmons focuses on higher end mattresses and other luxury sleep products. That means that we’re expecting a lot in order to give the Beautyrest Black our highest recommendation. After all, a luxury mattress will cost a luxury price, and you need to be sure that you’re getting the value for your money that you deserve. Keep reading to see our full review of the Beautyrest Black Mattress, and find out if it’s worth your hard earned money. Should I Buy the Simmons Beautyrest Black Mattress? There are many mattresses in the Beautyrest Black line, and we’ll be looking at one of the more affordable ones, the Desiree. It is 13.5” thick and combines layers of memory foam and pocketed coils in an effort to bring the best each of those technologies has to offer. Top – the top layer is made from 2.25” of memory foam, and it is designed for softness and comfort. It gives the initial softness that people expect from a mattress, while providing relief from pressure points. Second – the second layer is made from 1” of gel memory foam. The gel-infused memory foam is better aerated than other memory foam options, and helps to keep the layer cool. This layer helps to cool the surface layer above it by pulling heat away to be dissipated by airflow. Third – the third layer is made from 0.5” of memory foam. It is also designed to pull heat away from the sleeper and the surface of the mattress. That shows that the primary job of the second and third layers is to provide cooling support and the ability to facilitate airflow for the rest of the mattress. Bottom – the bottom layer consists of 9.75” of pocketed coils. The coils provide support and deep compression abilities that are hard to find in a foam mattress. Moreover, the coils add some bounce to the mattress while also serving as the foundation or base for the uppermost layers. Coil construction also facilitates more airflow, helping the mattress itself stay cool and fresh when you are sleeping on it. Edge Support – the Beautyrest Black also features an edge support layer. This layer is made from 3” of edge support foam. It’s used to aid in the durability of the edges and allow them to hold more weight without excessive sinkage or collapse. This makes the edges of this mattress ideal for adult fun time in bed, and many couples will enjoy this feature. The cover is made from lyocell and polyester in a 70/30 blend. The result is a cover that is both soft and breathable. The quilting on the cover helps make the soft top layer feel supportive, and prevents feelings of sinking or that the mattress is trying to swallow you. The mattress cover itself looks quite nice. The top fabric is white with a series of quilted circles, and the side panels are a dark grey color. The result is a fresh spin on the common motif of white top grey sides that we see in most mattresses today. The cover also features handles which make moving the bed around or adjusting it to change fitted sheets much easier. The handle itself is well constructed and durable, compared to the handles on many mattresses which feel like an afterthought and give the impression they’re about to rip any time you use them. When it comes to firmness, the Desiree is in the middle of the range. On a scale from 1-10 with 1 being the least firm and 10 being the most firm, the Desiree ranks at a 6. This puts it in the range that will feel nice to most American sleepers, and lets it appeal to a wider audience than it might otherwise get. 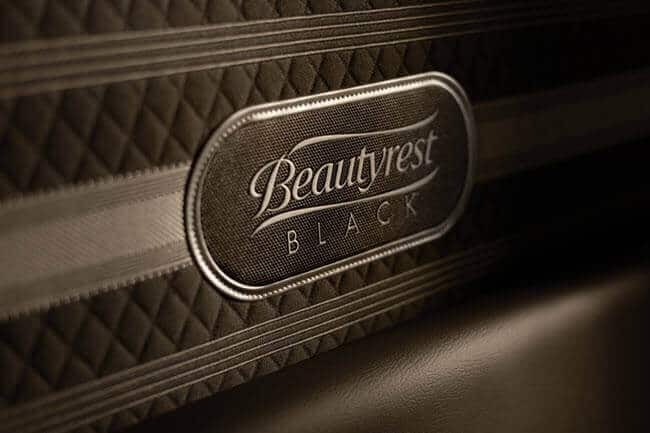 The Beautyrest Black does a good job of providing the support you look for in a mattress with all sleeping positions. In tests it provided a steady level of spinal alignment, no matter what sleeping position was adopted. The coil base helps with this, as it creates a balanced pushback that increases with the amount of force placed on it. That means heavier and lighter sleepers will both be able to get the support they need from this mattress. Furthermore, the initial layers of memory foam and gel infused foam do a good job of providing the top level support that is so essential to dealing with pressure points that can occur in a mattress that incorporates a coil system. The edge support in the Desiree is among the best we’ve seen in mattresses today. The 3” of edge support foam do a great job complimenting the coil design to help keep the edges of the bed stiff, no matter how much weight is placed on them. Also related to support is the hug and contour that the uppermost layers offer. The top layer of foam creates a sharp contour around your body that offers a high degree of pressure relief while permitting a good amount of sinkage. The coils prevent the sinkage from getting to deep and add a great bounce and responsiveness to the mattress. 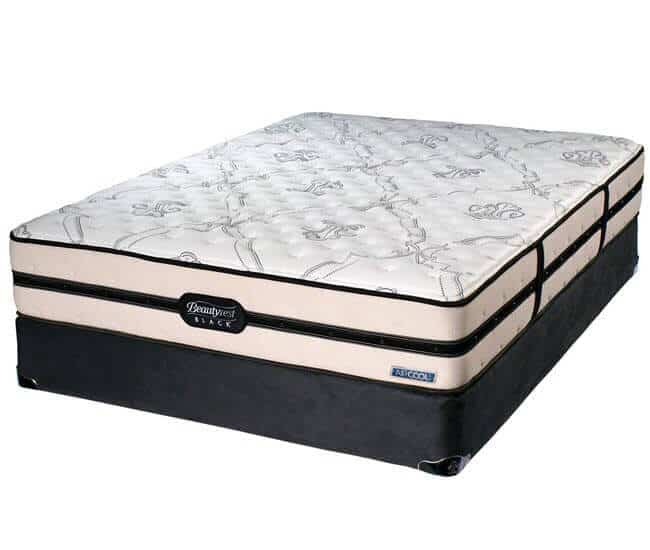 The result is a very comfortable mattress that does a god job providing cooling while at the same time offering a combination of bounce, support, and pressure relief that is hard to match in other mattresses, even in its class. This speaks well for the chances that it will be enjoyed by most people who choose to purchase it. As we indicated earlier, the Desiree has a good bounce to it. The bounce only comes in when you want it to come in, as the softer top layers pad the coils and prevent them from creating too much bounce from smaller motions or getting into or out of the bed. It’s less intense than you would expect from a coil on coil design, but it’s far greater than anything you could hope to get out of an all foam mattress. The fact that it does this while still limiting the amount of motion transfer you get is a sign that it’s a good option for couples, especially those who are light sleepers or who have different sleep schedules from one another. Finally, the mattress does a great job providing cooling. The cooling in the mattress is obtained from the consistent airflow facilitated by the coil construction. One of the better qualities about using coils is that there’s plenty of air and space around them so that the whole mattress is much more breathable. This helps to spread heat around so it can be dispersed, keeping the mattress’s sleeping surface cool. All of the mattresses we review get sinkage tests. We’ve found that these tests are a good way for people to get a better understanding of how the mattress will perform in a day-to-day sense. It’s important to keep in mind that our mattresses sinkage numbers are produced using a test subject who weighs ~ 140lbs, so the number you get might be a bit difference. Slight Edge Sit – sitting on the edge without resting the body’s full weight on the edge of the bed caused 3.75” of sinkage. Full Edge Sit – sitting on the edge of the bed with the body’s whole weight resting on it resulted in 4.75” of sinkage. Standing in Middle – Standing in the middle of the bed with both feet flat cased 5.5” of sinkage. Unlike many other mattresses, there aren’t really any promotion codes or discounts floating around for the Beautyrest Black Desiree, or any of the other models from the Beautyrest Black product line. That means you should expect to pay full price for this mattress, no matter where you get it. The mattress is sold by a number of different retailers online and in stores, so you’ll want to double check the price there, and do some comparison shopping to make sure that you get the best price you can on this mattress, as it can be a bit expensive. Shipping – the mattress will show up uncompressed at your door. It takes 1-2 to process the order and 1-5 to ship in the US. Shipping is free. Trial – 100 nights. During this period you can’t get a refund, but you can try a different mattress. Returns – there are no refunds allowed. You are allowed to change the mattress for another model if you have for a $139 processing and pickup fee. Exchanges are limited to one per customer per order. Warranty – 10 years but you have to cover the cost of shipping on any replacement. Smell – the Beautyrest Black has a reasonably strong smell that persisted for 3-4 days. The Beautryrest Black is designed for most American Sleepers, and most American sleepers will like it. It’s best for people looking for a medium firm mattress that offers a good combination of qualities from memory foam, gel foam, and coils. 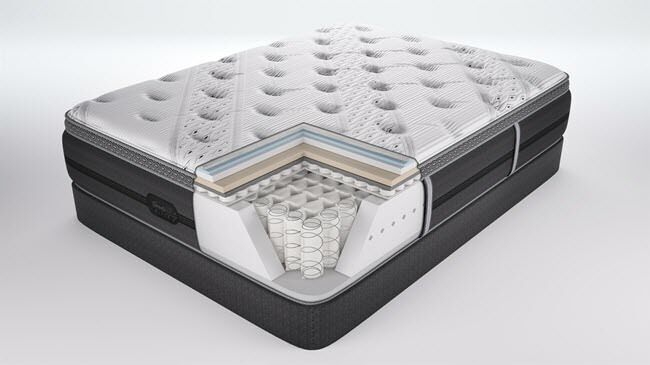 The hybrid construction means more bounce and responsiveness, while the memory foam top and gel foam provide the hug and contour that many people expect out of a mattress these days. The result is a quality mattress that is good if it falls within your budget, but don’t break the bank to get one.